Since moving out into my own place, I’ve been very careful to make sure food does not go to waste. 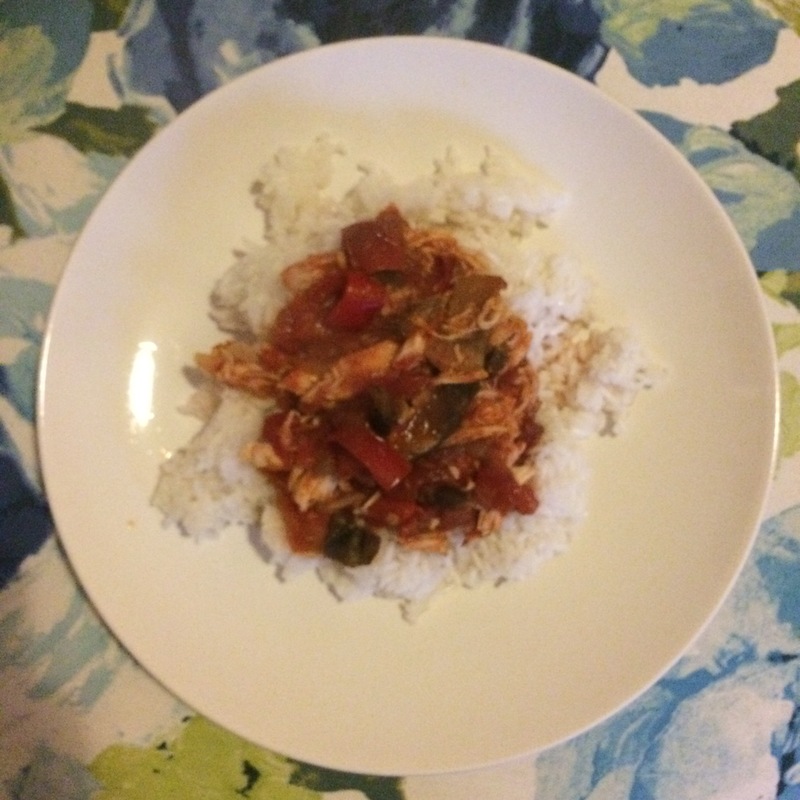 I had a few bits and bobs that really needed to be used up, so I thought I would make a meal of it using my slow cooker. It turned out so good that I thought I would share the recipe! This unintentionally turned into a Spanish chicken style meal. First, finely chop the onion and garlic. Cook them in a saucepan and a little oil until the onion softens. Whilst the onions are cooking, chop the rest of your vegetables into chunks. Transfer the onion and garlic into your slow cooker. 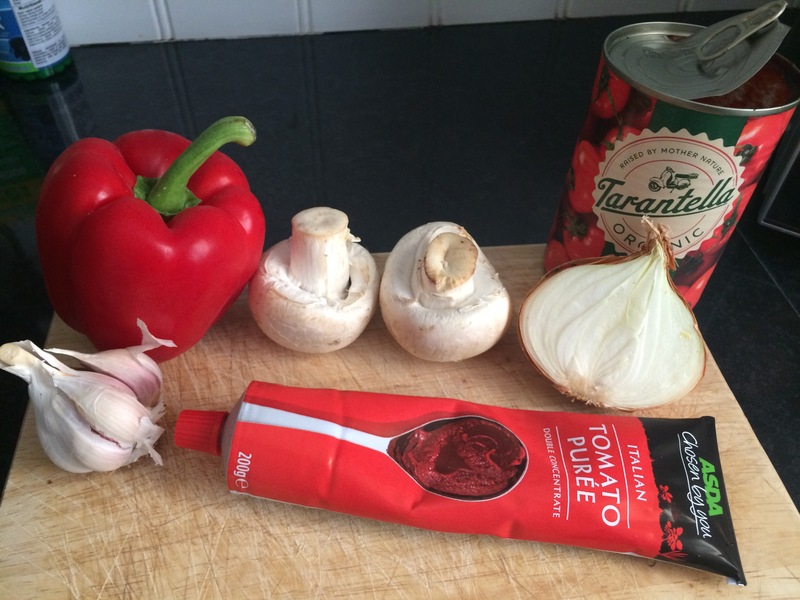 Add the chopped tomatoes, pepper, mushrooms, stock and a squeeze of tomato paste. Place the 2 chicken breasts in the middle of your dish. I like to stir the mixture if I can just to make sure nothing is seperating. 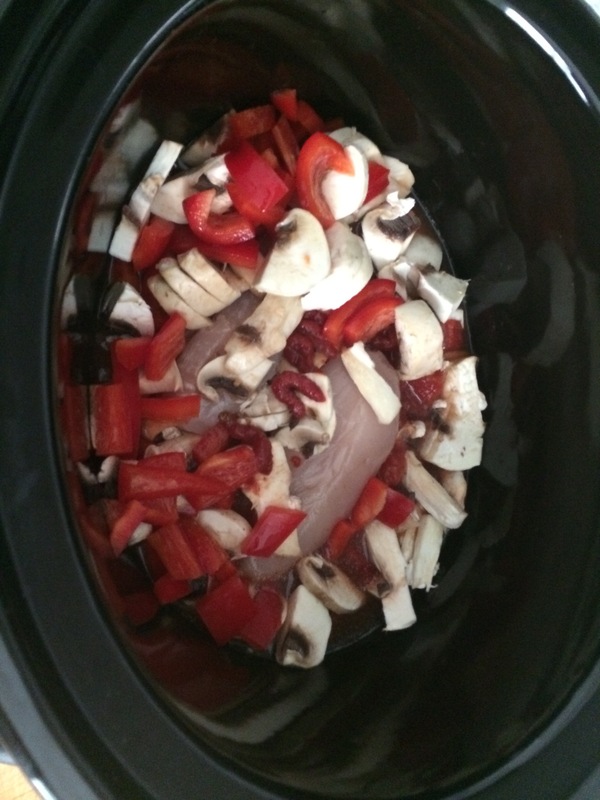 Before serving, shred your chicken in the slow cooker by pulling it apart with 2 forks.